One of my favorite blogger friends is the mastermind behind the popular food blog, My Big Fat Cuban Family. 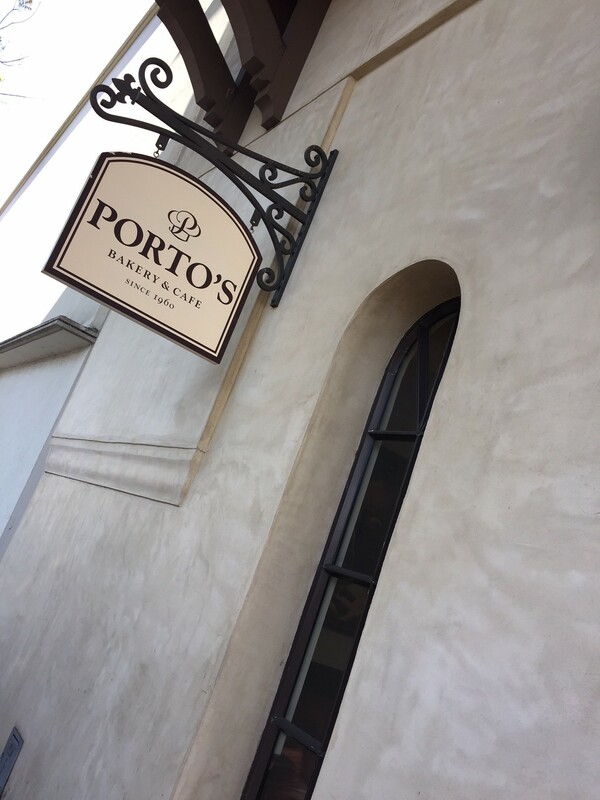 We have spent time talking about Cuban food, and after we had attended the Avengers Age of Ultron press junket, she took me to one of her favorite Cuban restaurants, Porto’s Bakery. My husband and kids were also joining us for lunch, so I texted him our order. 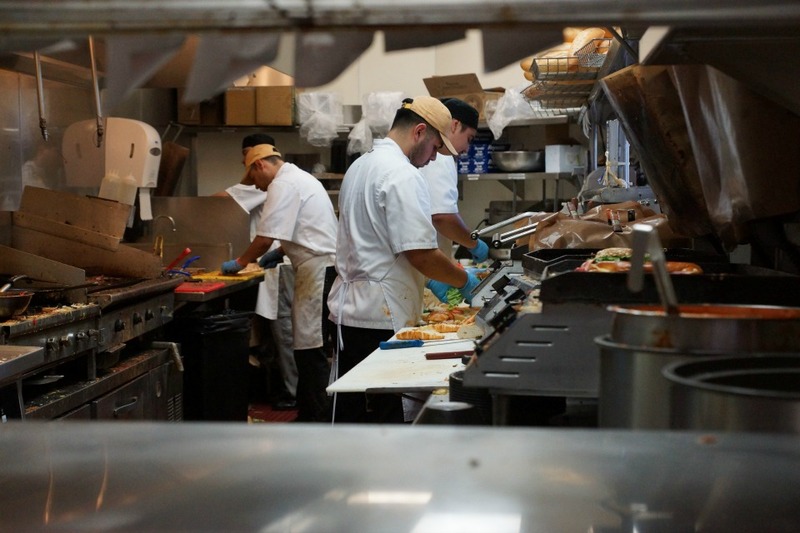 Once we found a parking spot, we walked into the incredibly busy restaurant. 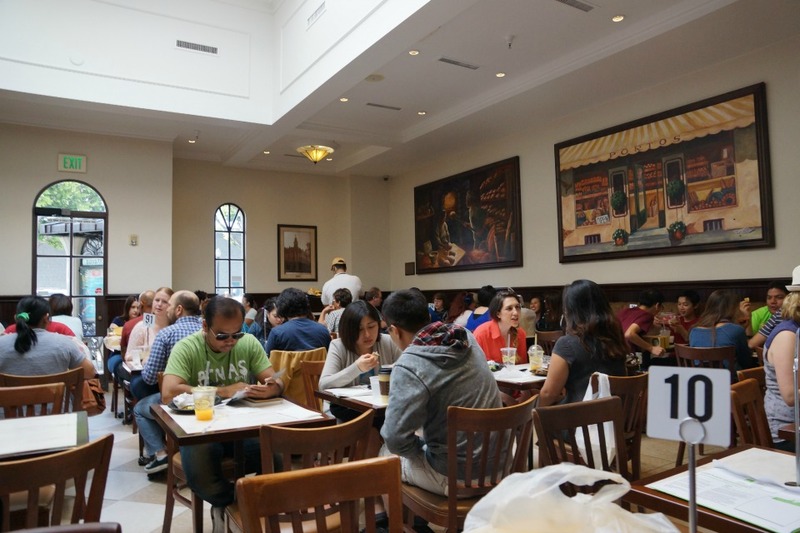 There was a huge line of people waiting to order and every table in the restaurant was full (and it was not even during lunch hour). 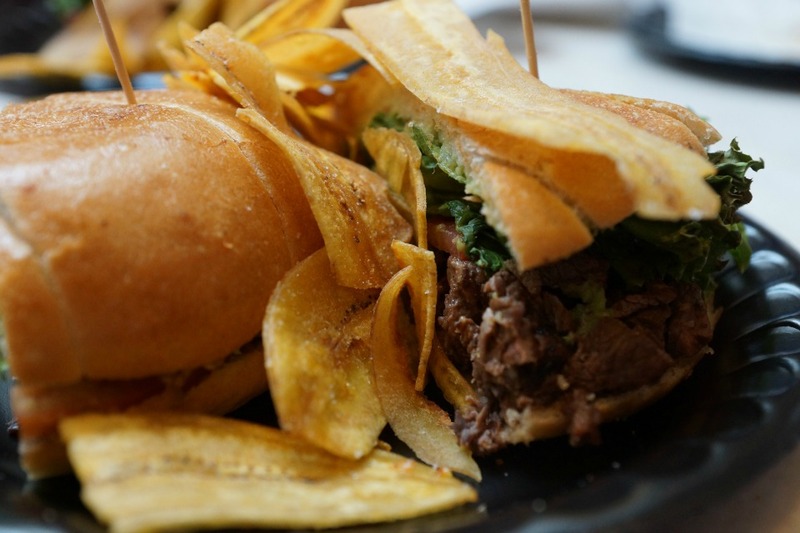 Marta had recommended I try the steak sandwich, but my husband accidentally ordered me the steak torta. 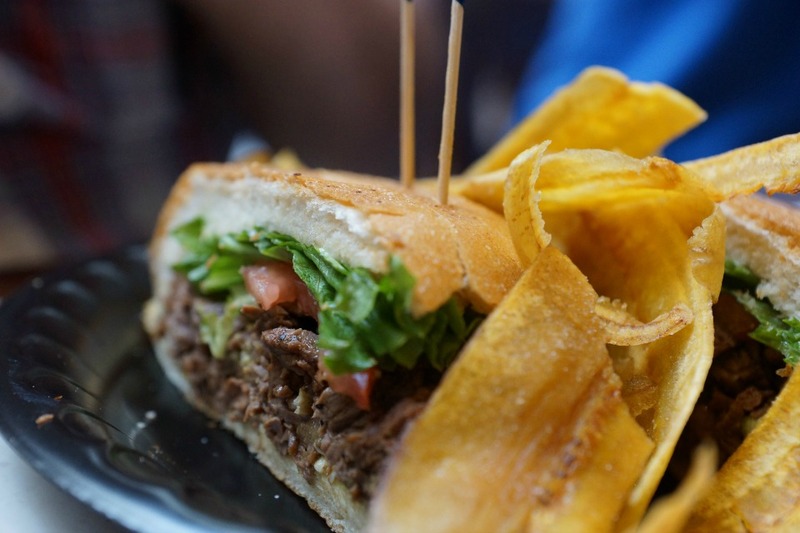 Even though, he ordered the torta vs. the sandwich…it did not disappoint. The large sandwich came with a big helping of banana chips (that you cannot eat just one). Inside of the soft bun came a good amount of seasoned meat, beans, guacamole, lettuce, and tomato. The sandwich was delicious, and I devoured every bite – pure goodness. After we had lunch, we talked about the amazing day that we all had together. While we were talking, my friends recommended that I also try the potato ball. 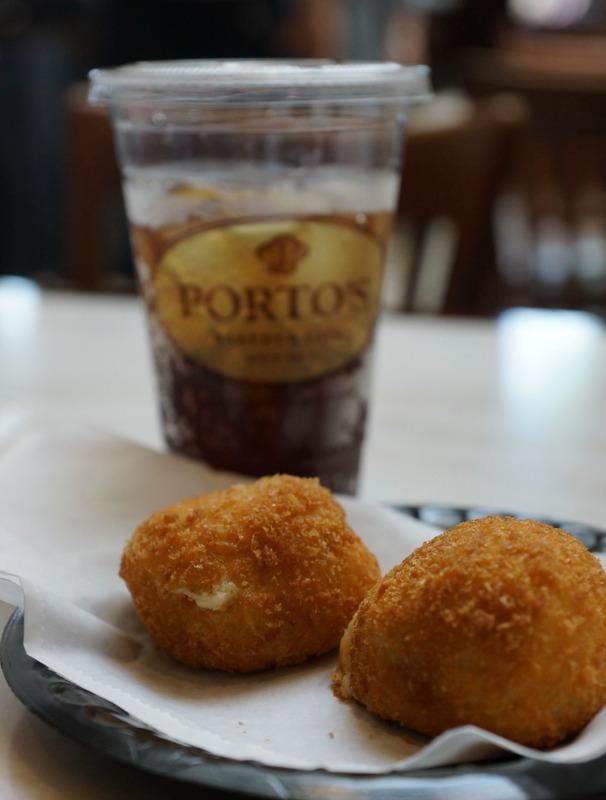 The potato ball was a little slice of heaven filled with seasoned ground beef and fried to golden perfection. Did I mention that they are also less than a $1? You can’t go wrong by ordering a bunch to take home with you. 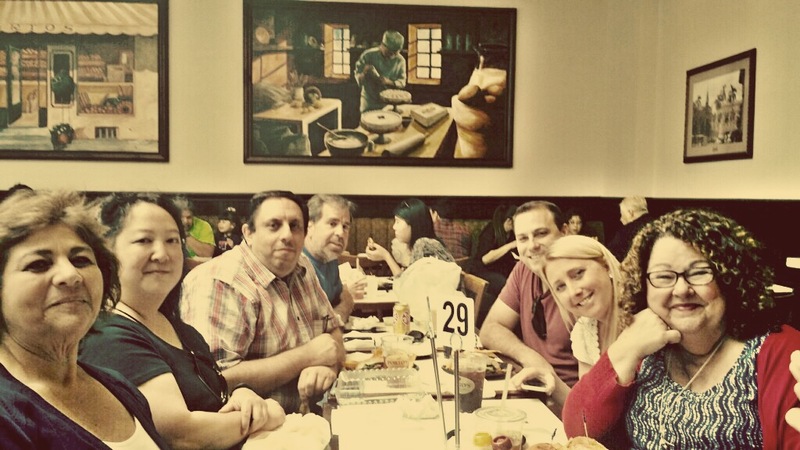 It was a fun lunch with great people and great food. 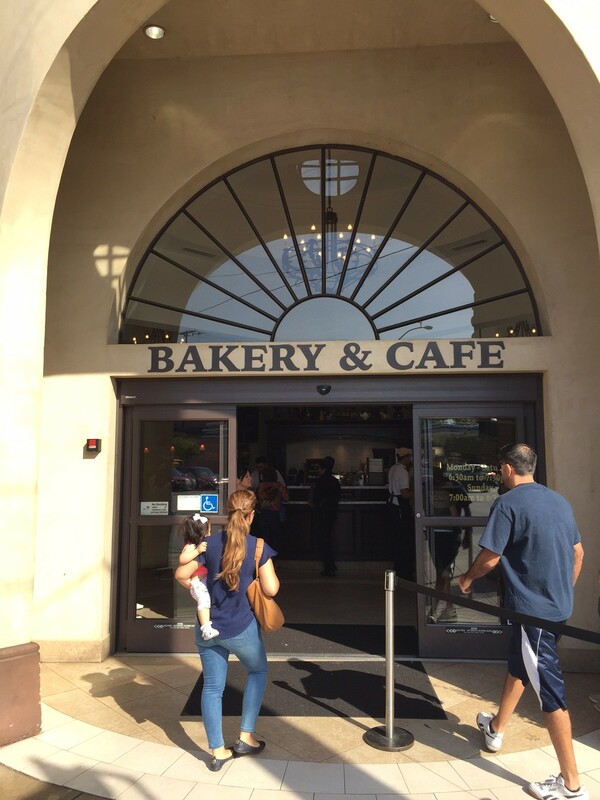 Porto’s Bakery & Cafe has multiple locations, but the location that we dined at is located at 3614 West Magnolia Boulevard in Burbank. 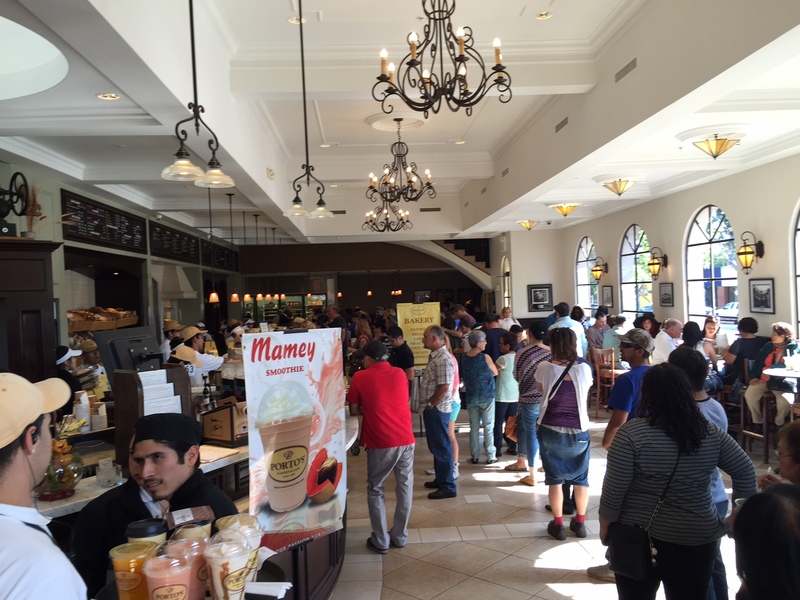 The next time you find yourself in Burbank, make plans to dine at Porto’s.